We designed this engagement ring. with our customer and created it for them! 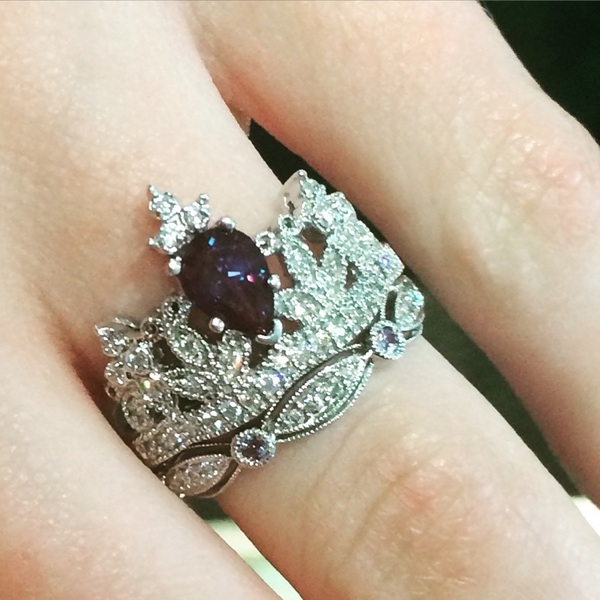 A beautiful, color-changing alexandrite stone set into a princess crown styled ring! From Diana Jewelers in the Syracuse area!